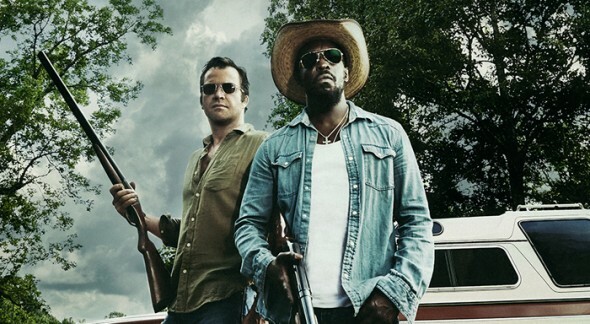 “There’s a million dollars at the bottom of that river.” SundanceTV has released a behind-the-scenes promo for their upcoming series, Hap and Leonard. The series is based on the books by Joe R. Lansdale and stars James Purefoy and Michael K. Williams as the two title characters. An action noir, Hap and Leonard follows the two lead friends as they embark on a chaos-filled journey in the South. The series also stars Christina Hendricks, Bill Sage, and Jimmi Simpson. Hap and Leonard premieres on SundanceTV on March 2nd, at 10 p.m. ET/PT. What do you think? Have you read the Hap and Leonard books? Will you watch the SundanceTV series?